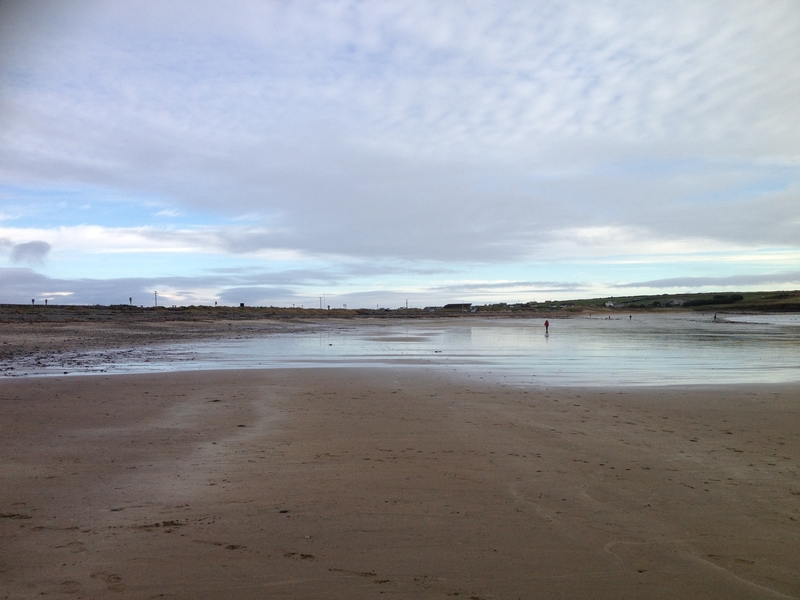 Last weekend was another wash out, very rainy and gloomy weather. 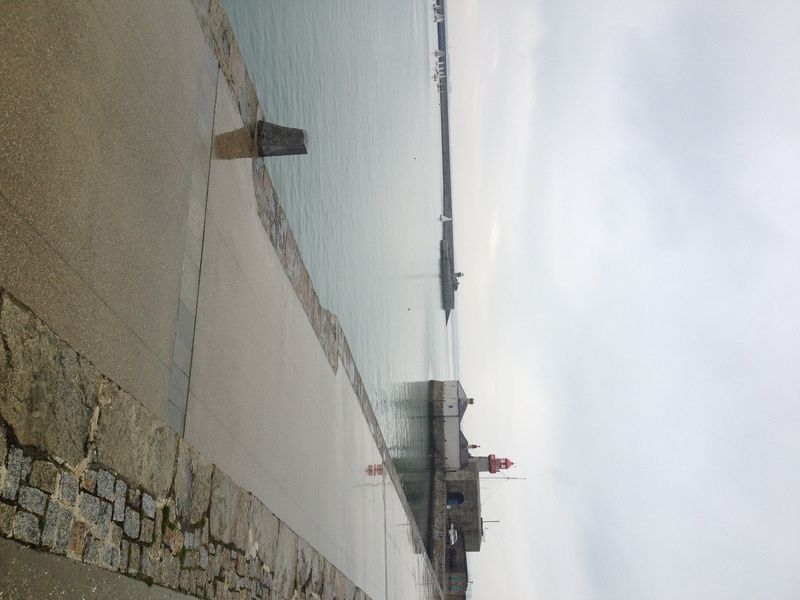 However I still managed to fit a lot in, I got to check out Brother Hubbards for lunch (finally), pop into the Temple Bar Farmer’s Market, stumble across an Irish Dancing/Trad festival (which was very random), Go to the Dun Laoighre market just in time for the torrents of rain, and I also fitted in lots and lots of cooking. 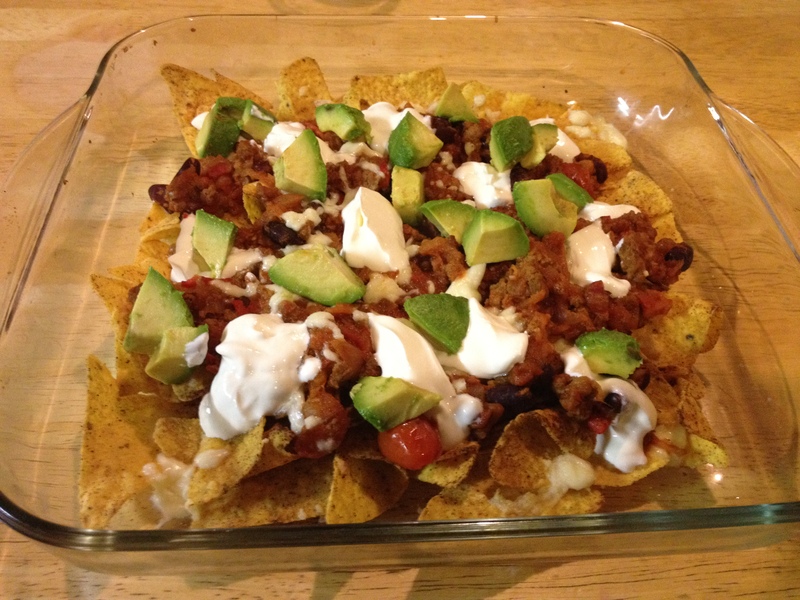 I made a big batch of Chilli con Carne, and decided to make some Beef Nachos with it. 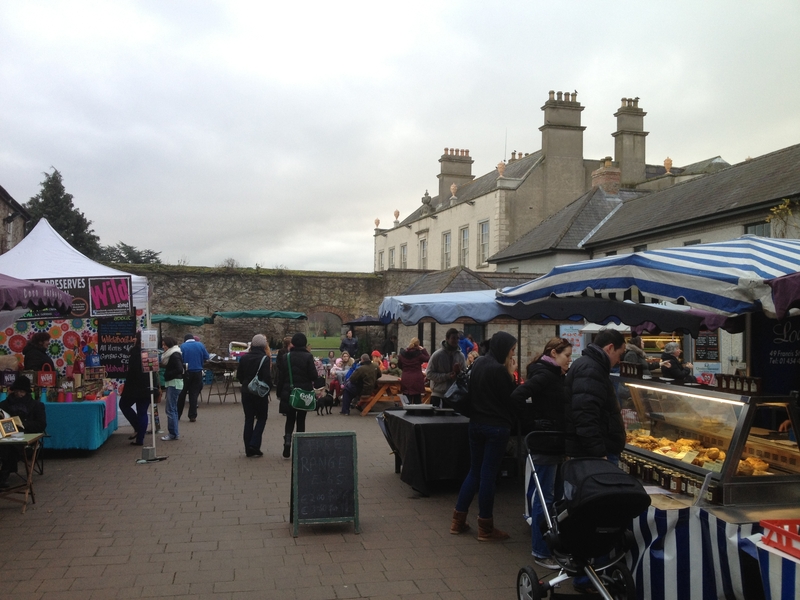 They were the perfect weekend indulgence after trodding along in the cold and rain! If you have any leftover bolognese from spaghetti during the week then this is the perfect way to use it up. This is really simple and quick, and really satisfying. Give it a go, and let me know what you think! 1. 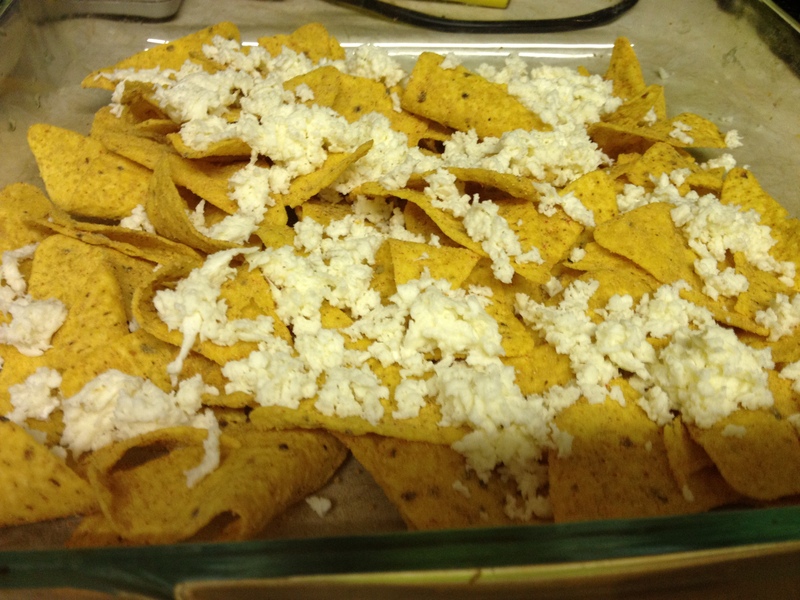 Scatter the tortilla chips into an oven proof dish and scatter half the cheese on top. Pop into a oven pre-heated to 180C for about 3-5 minutes, until the cheese is melted. 2. 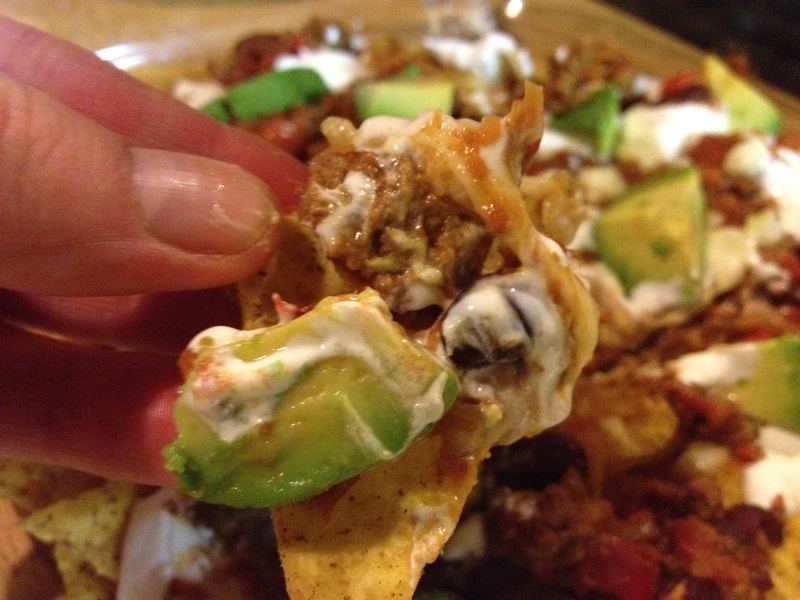 Take out of the oven and evenly pour the beef (which should have been already heated) on top of the nachos. 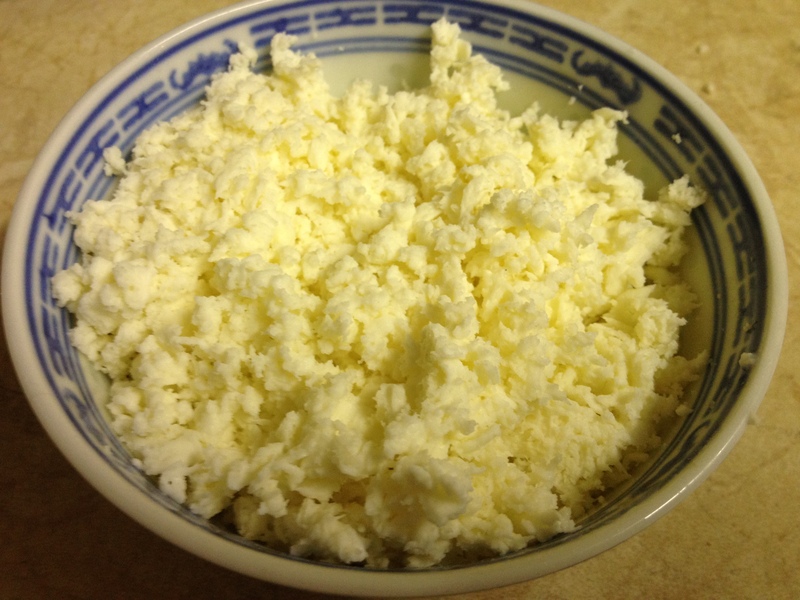 Sprinkle the remaining cheese on top and pop back into the oven for another 5 minutes until cheese is melted. 3. 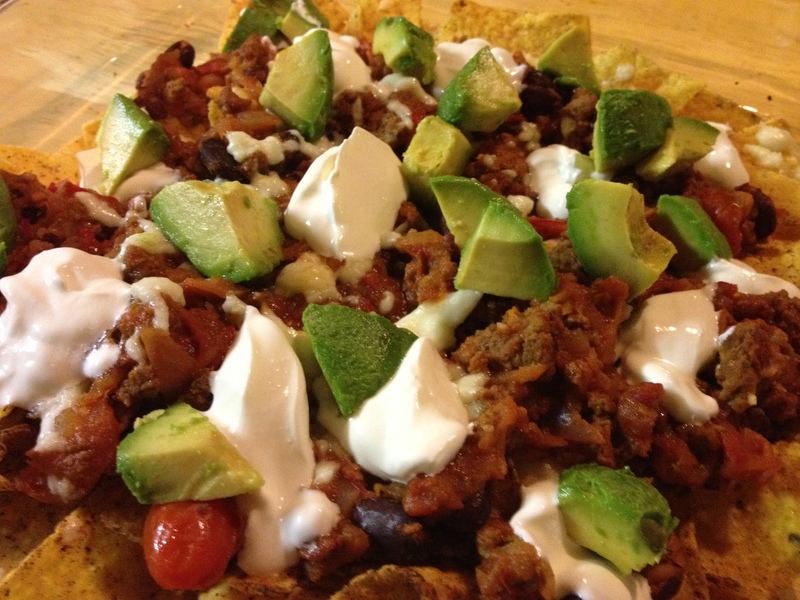 Dollop a few blobs of sour cream on top of the nachos and scatter the avocado over the top. 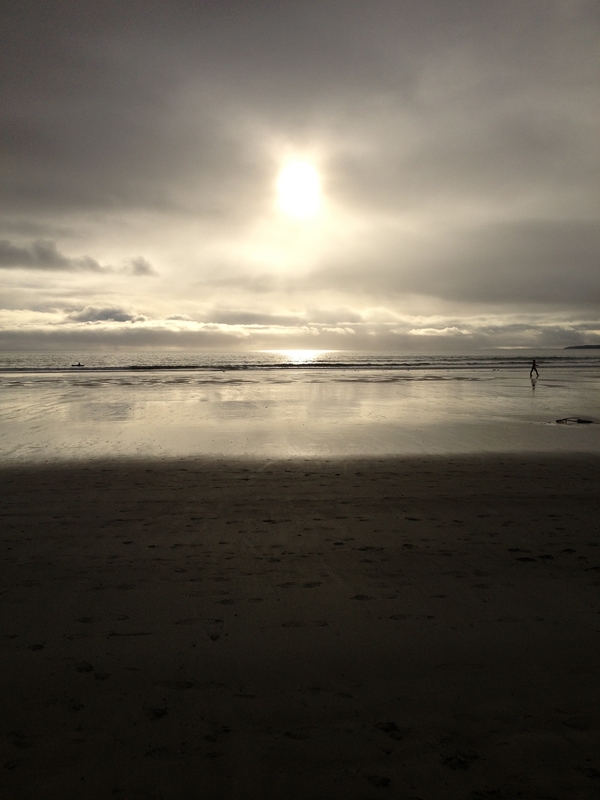 I wrote this post from my bed surrounded by Kleenex. All the crazy weather this past week has created army of flu infected zombies like myself. 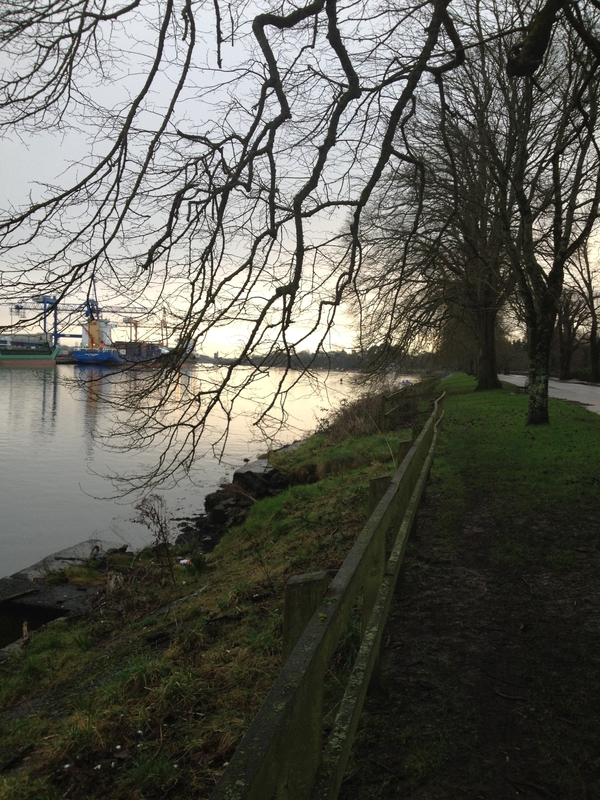 As it turns out waiting 45 minutes in the freezing cold and rain for the Cork Dublin bus can induce the flu. 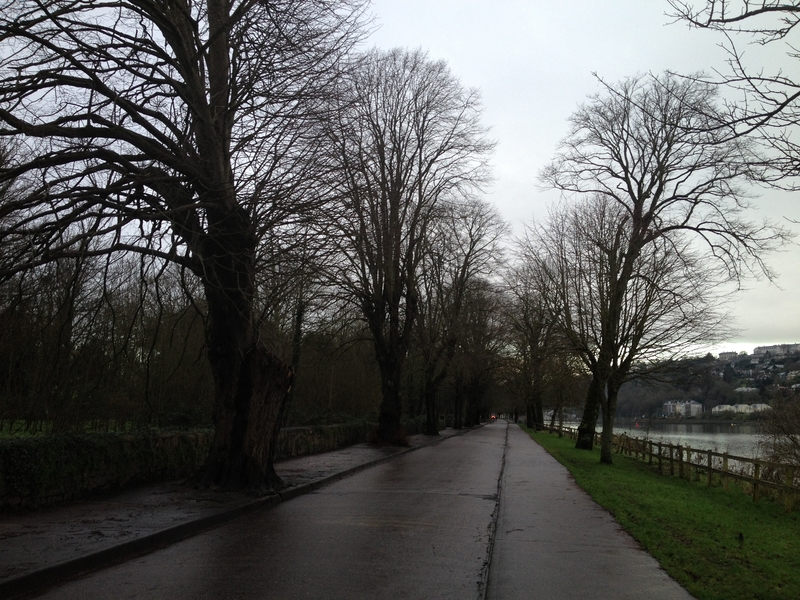 As it also turns out, going for a run in the rain the next day won’t help matters either… who knew? 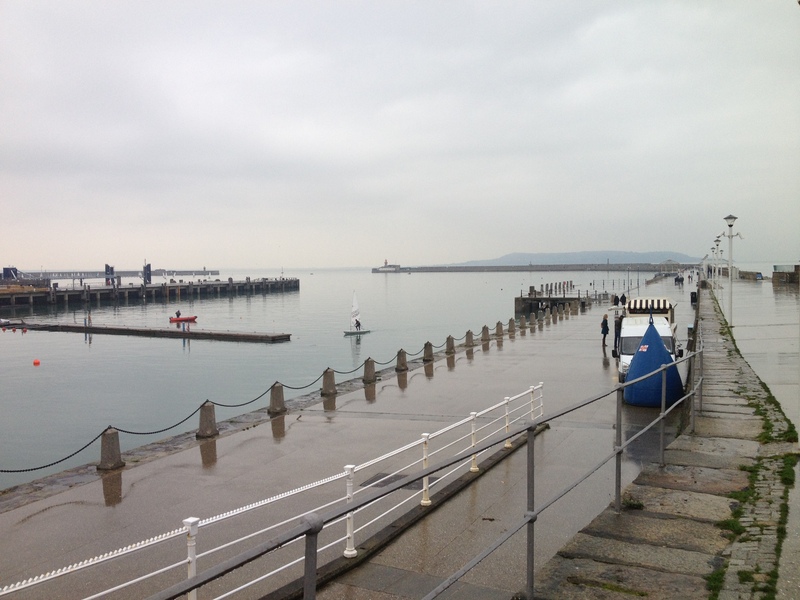 I should have known from the ominous grey wet weather when setting out on Saturday morning, but it has become a ritual when I’m home to go for a quick run around the Marina in Blackrock. 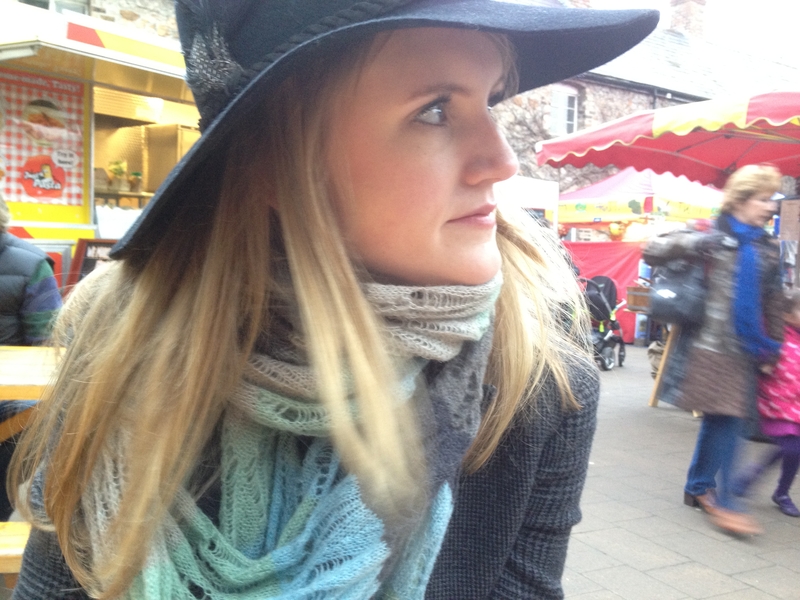 Alas, as a result I have spent the last 4 days in hibernation drinking hot drinks and eating comforting tasty food. 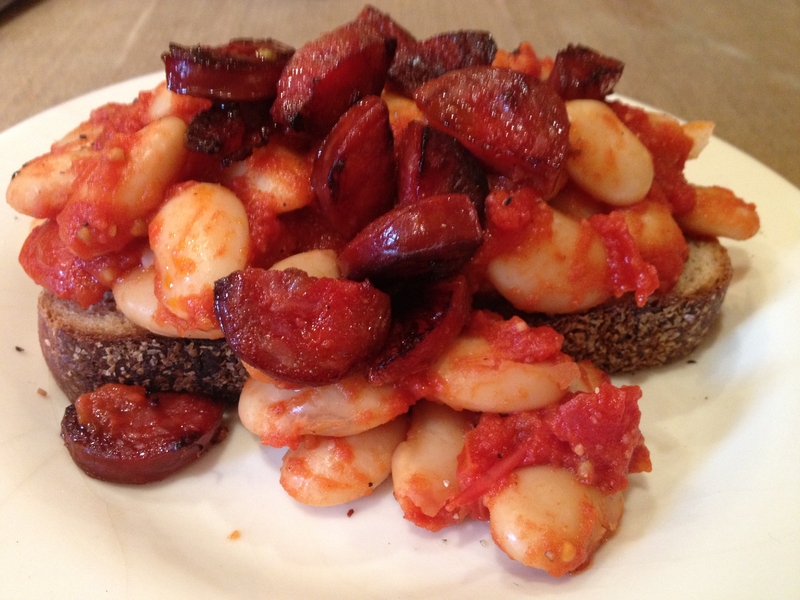 Yesterday I made chorizo beans on toast for lunch, and it was mighty. Just what the doctor ordered. 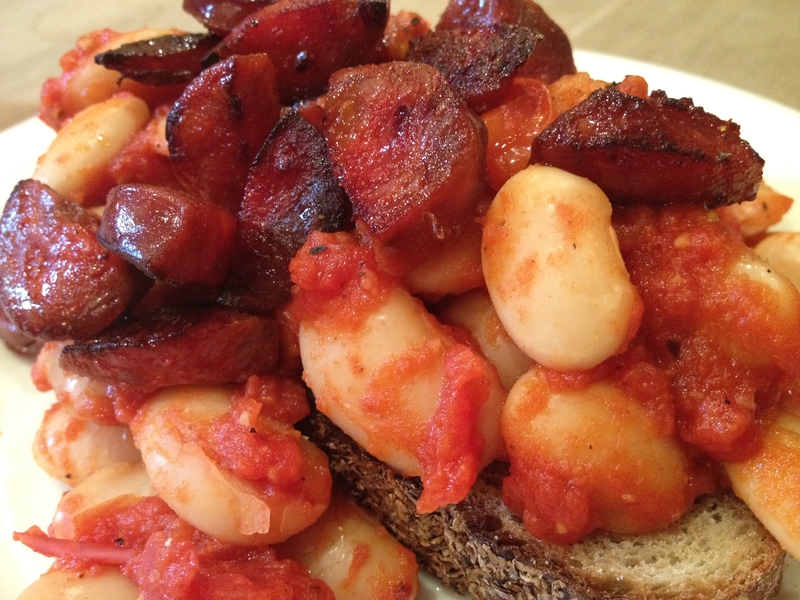 Beans are so comforting and tasty, and posh beans are popping up in cafes everywhere. 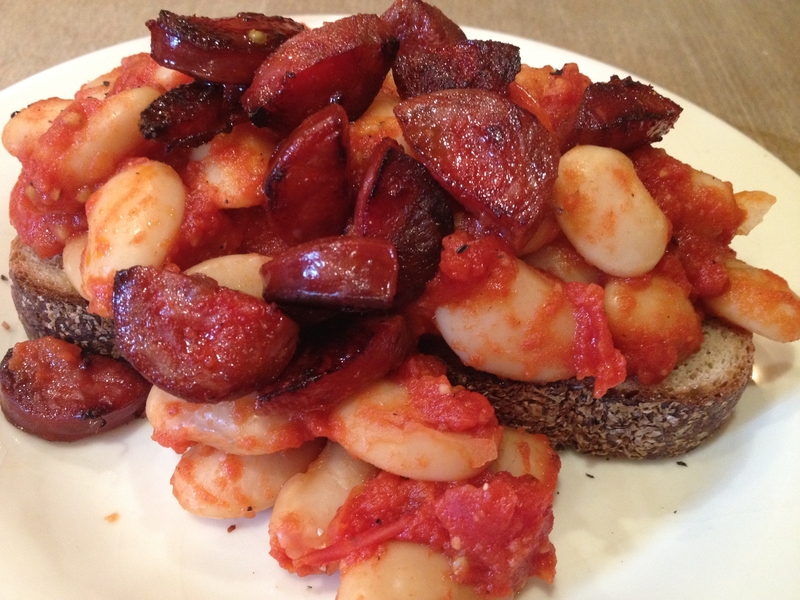 I loved the addition of chorizo because it gave the beans some extra flavour, but any chopped sausages, smoky or streaky bacon, or any leftover meat torn up would make a nice addition. 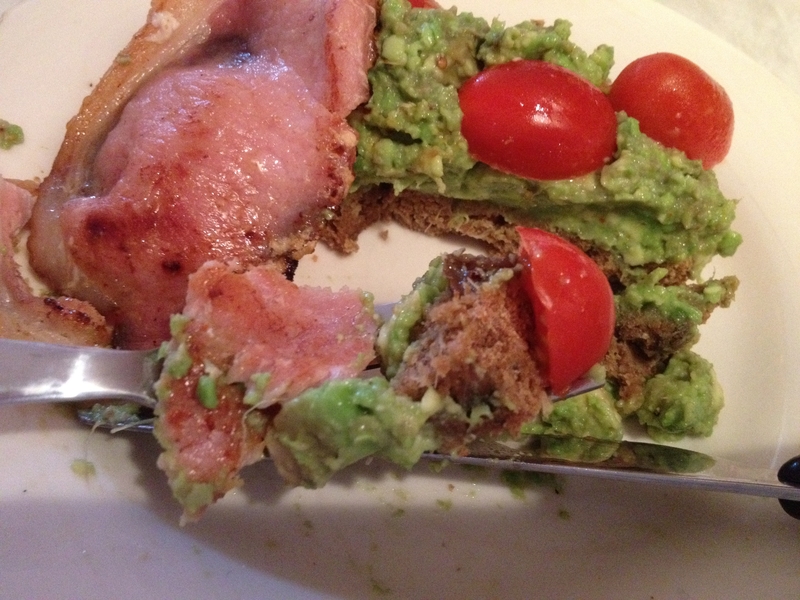 Nice bread makes a difference too, I had some leftover Arbutus Rye which was delicious. Arbutus Bread company is an amazing Irish bread company, run by Declan Ryan who used to run the Arbutus Lodge Cork, in fact he was the first Irish chef to receive a Michelin Star. 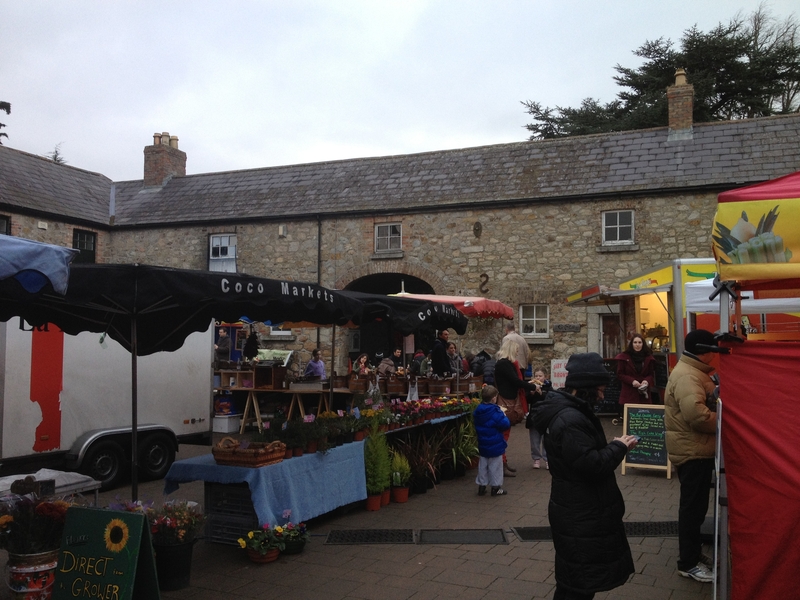 His breads are amazing, and much loved in Cork. 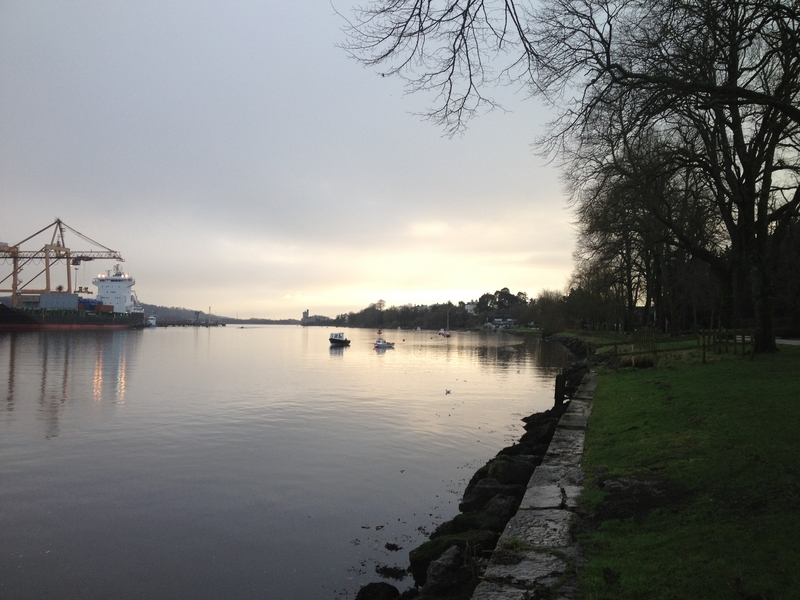 You can get them outside of Cork too though, so definitely have a look out for them. Enjoy your beans! 1. 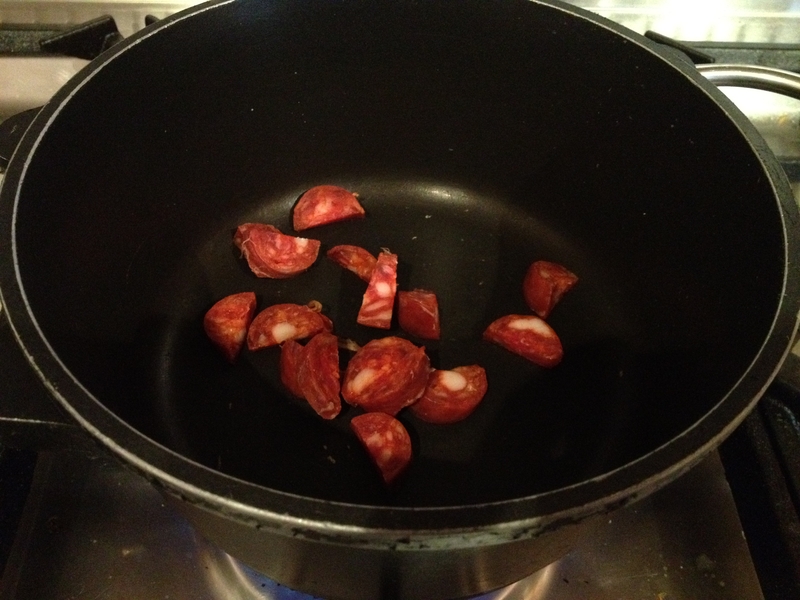 Fry chorizo in a pan lightly, then remove and set aside. 3. Add all spices, honey, salt, pepper and tomatoes to pot and reduce. 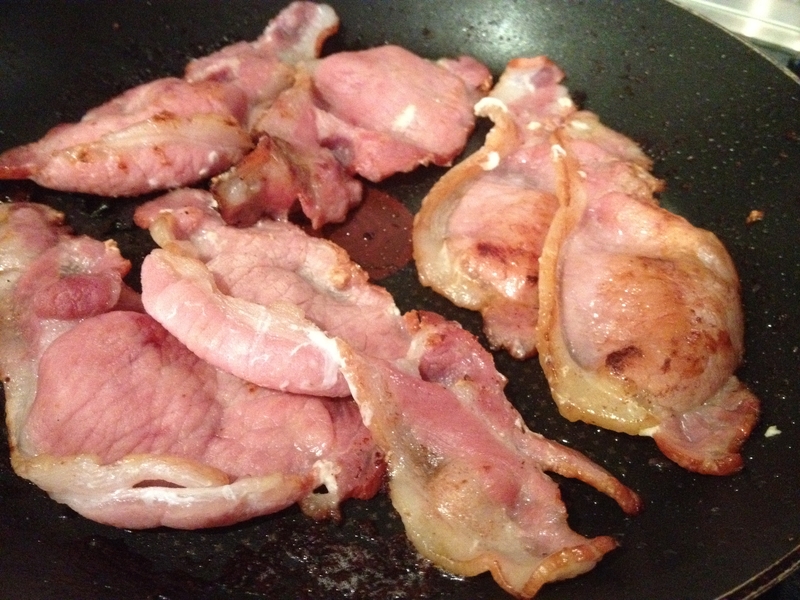 Season to taste, it may need generous extra seasoning so don’t be shy. 4. 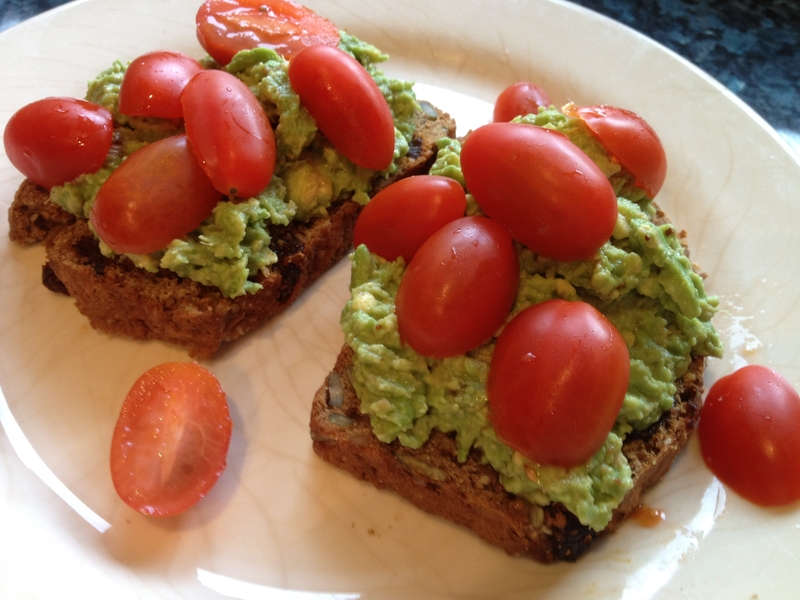 Toast bread. 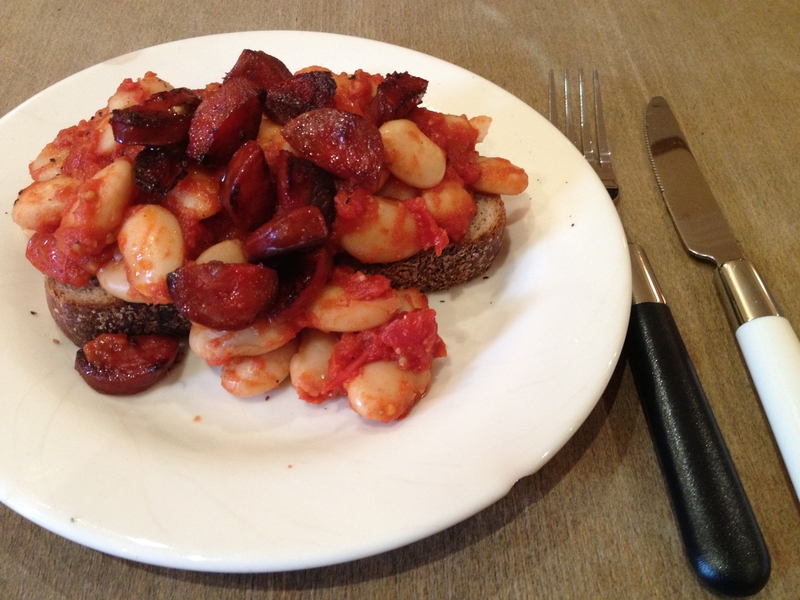 When sauce is reduced, and it has been seasoned to taste, then serve on the toasted bread and top with the chorizo. 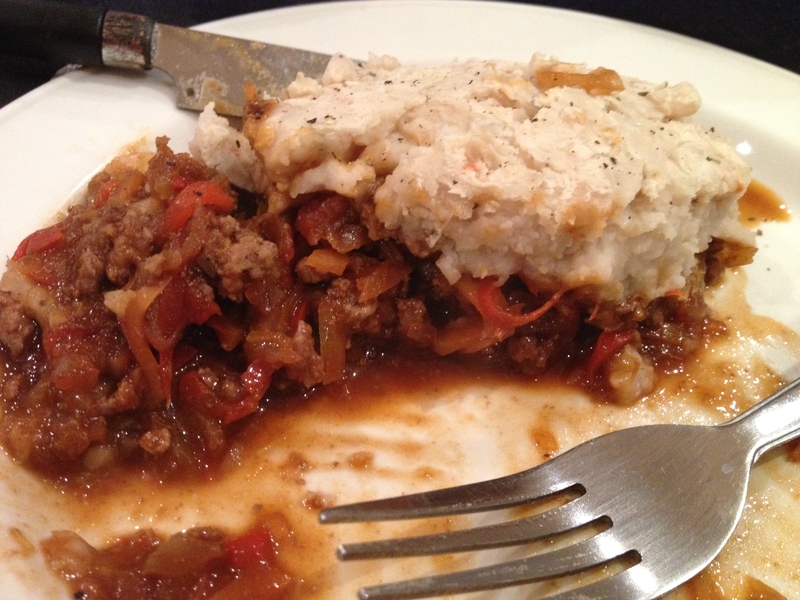 As part of my series of healthy recipes, I decided to make Cottage Pie (who doesn’t love Cottage Pie? ), and give it a healthier twist. 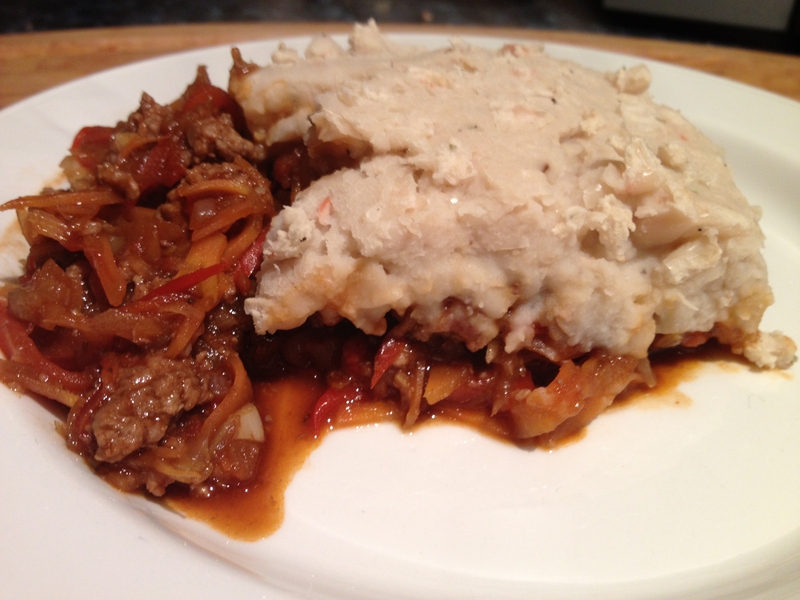 It’s such a comforting dish, it’s perfect on a cold evening to come home to. I added some extra veggies to mine, and I also substituted the mashed potato for mashed white beans. My dad makes a white bean mash to go with Sunday Roasts and it’s always my favourite thing on the table, so I decided to give it a lash on this Cottage Pie. 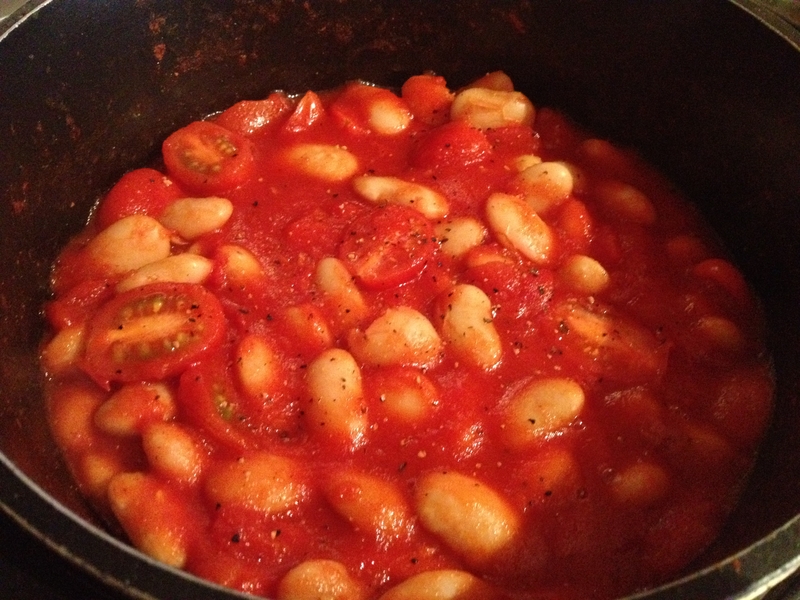 Beans are so healthy and packed with protein, they’re a great food to add to your diet. Of course you can just substitute the white beans for cooked potatoes and cook the mash in the exact same way, its up to you, although the bean way is much quicker! Either way this recipe is really packed with flavour. 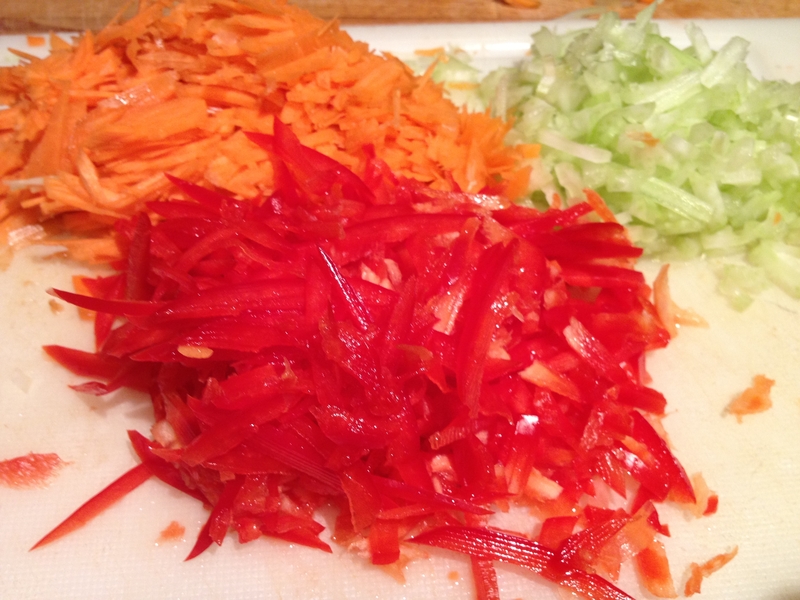 Chopping the vegetables really finely makes a big difference, if you have a mandolin this will be pretty quick and easy to do (watch your fingers!) Also it’s worth mentioning that the Knorr jelly stock cubes are the best. 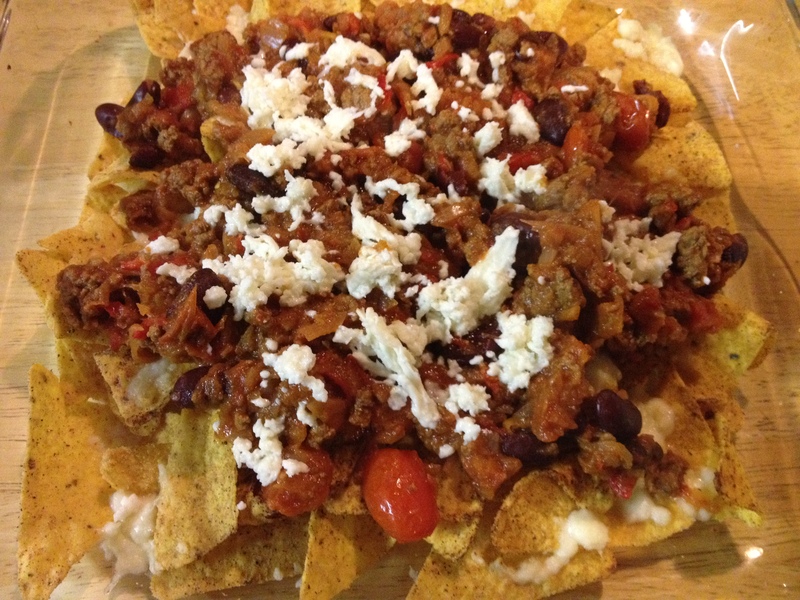 The beef ones add a really meaty, rich flavour that you don’t seem to get from the normal cubes. 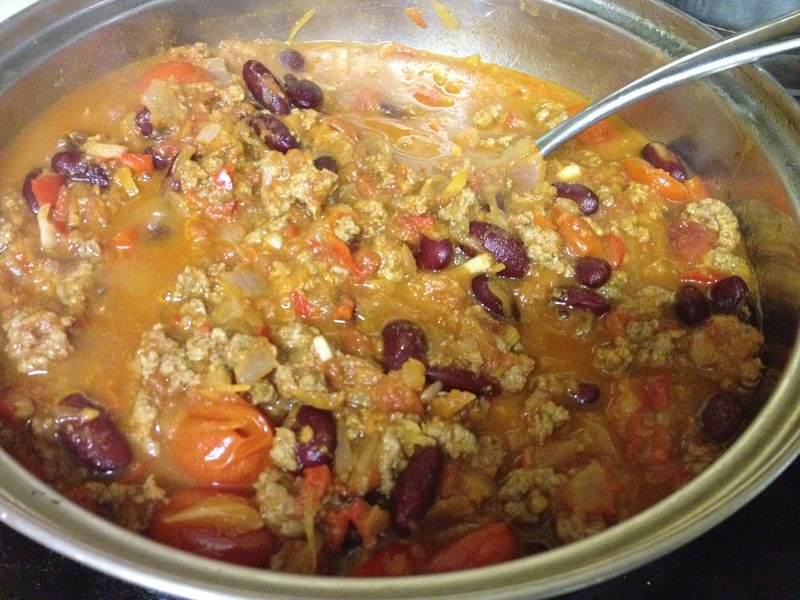 This is a great comfort food and nice to come home to after a long day out. 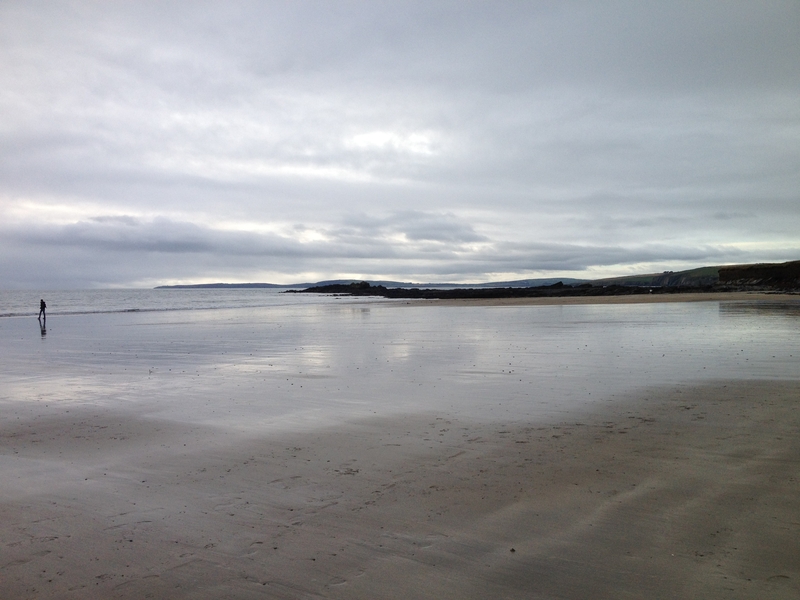 Last time I was home I went walking with my parent’s in Garretstown on the nicest grey day. 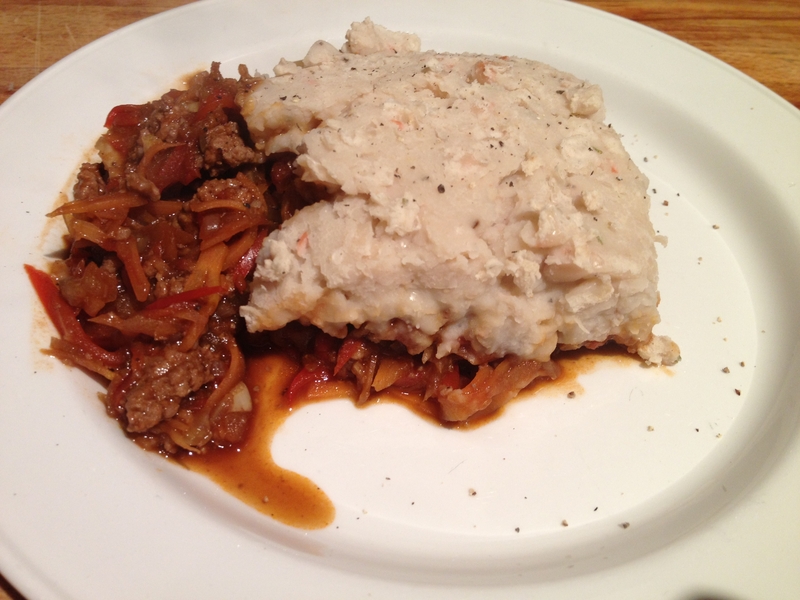 A hot dish like this would be perfect to come home to after a long walk! 1. Heat a little olive oil in a large pan on a medium low heat. 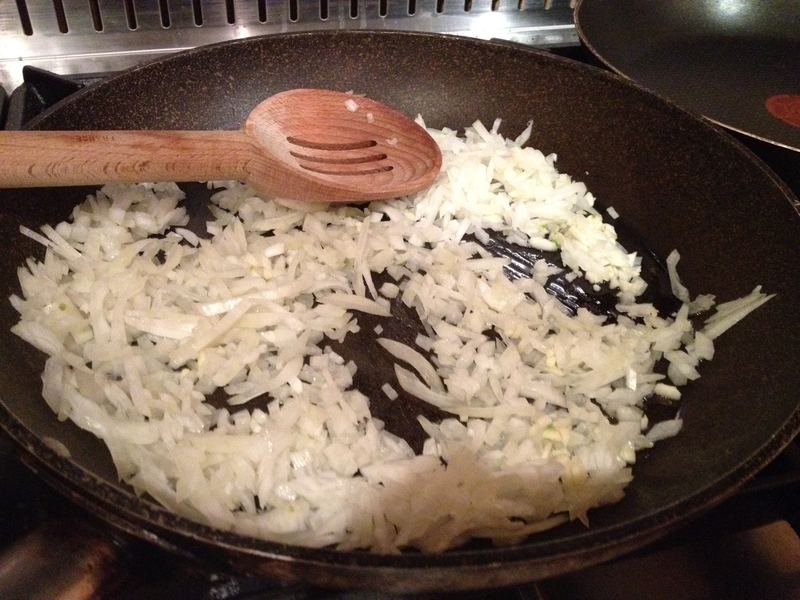 Add onion and garlic to pan and stir while they soften . 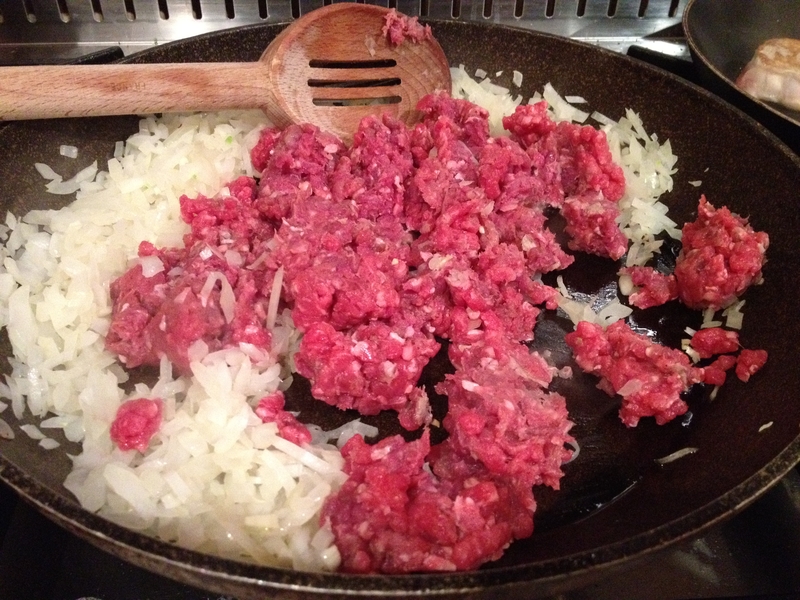 Add mince meat after 5 mins. 2. 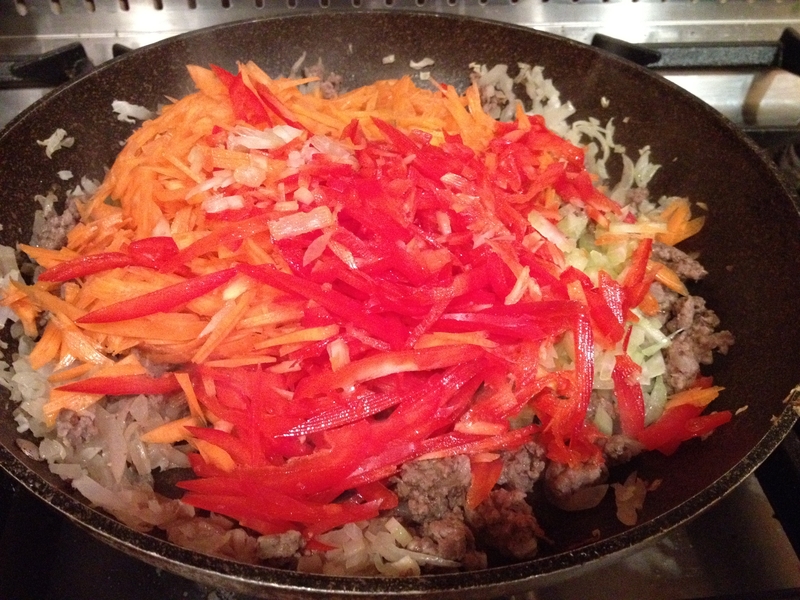 When mince is browned add the rest of the vegetables and reduce heat a little and stir for 5 mins. 3. 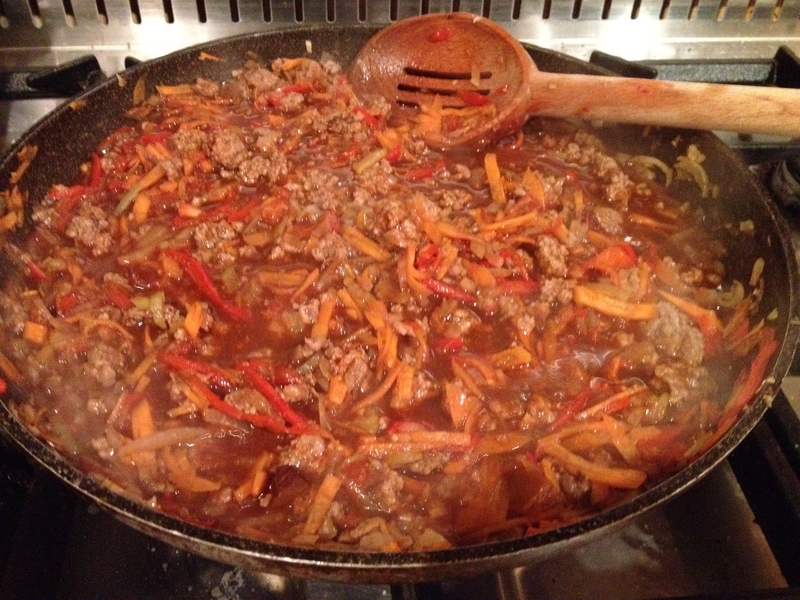 Add stock, tomato puree, tomato relish, pinch chilli flakes and stir together, let the sauce reduce for about 5 to 10 minutes. Season to taste. 4. 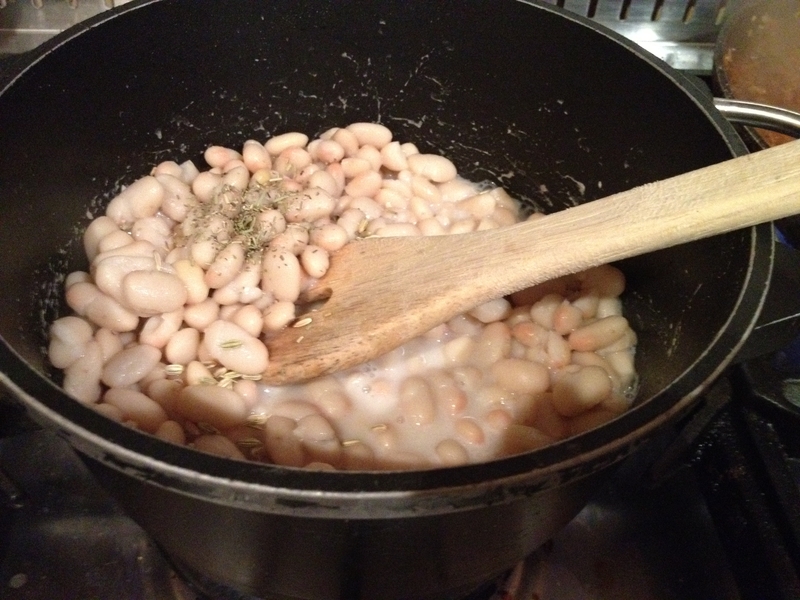 Add beans (or cooked potatoes) to a pot with milk and let heat. Mash with lemon juice , fennel and salt and pepper. Keeping adding milk until you get a nice soft consistency. Season to taste. 5. 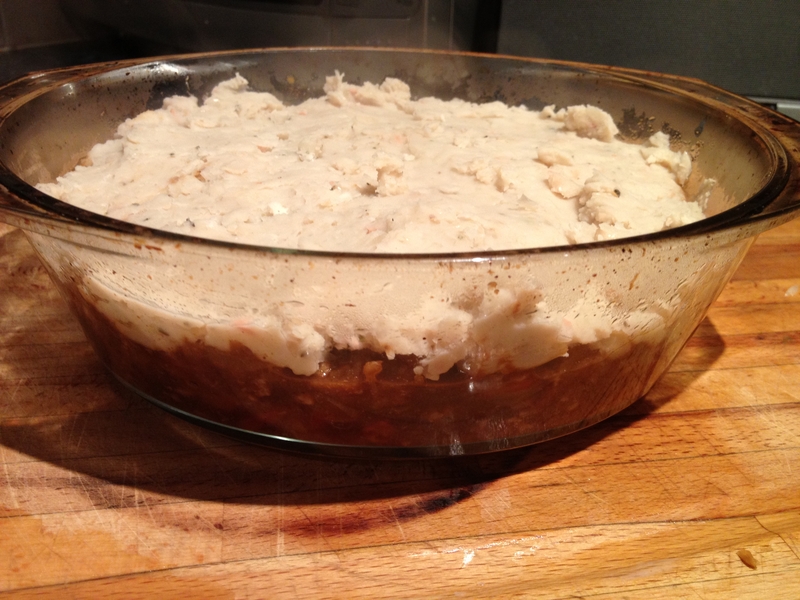 Put meat in the bottom of a casserole dish, layer the mash on top and pop into a hot oven. 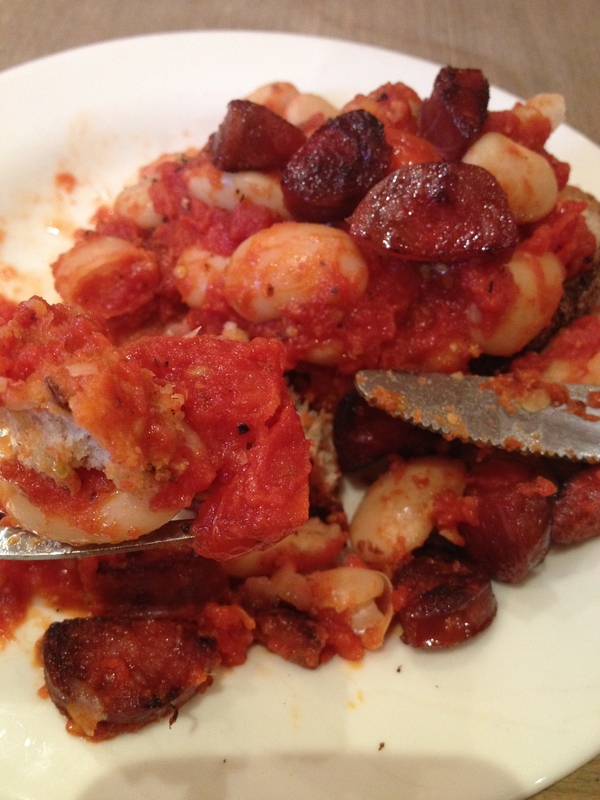 If you’re using bean mash, you only need to do this for a few minutes. 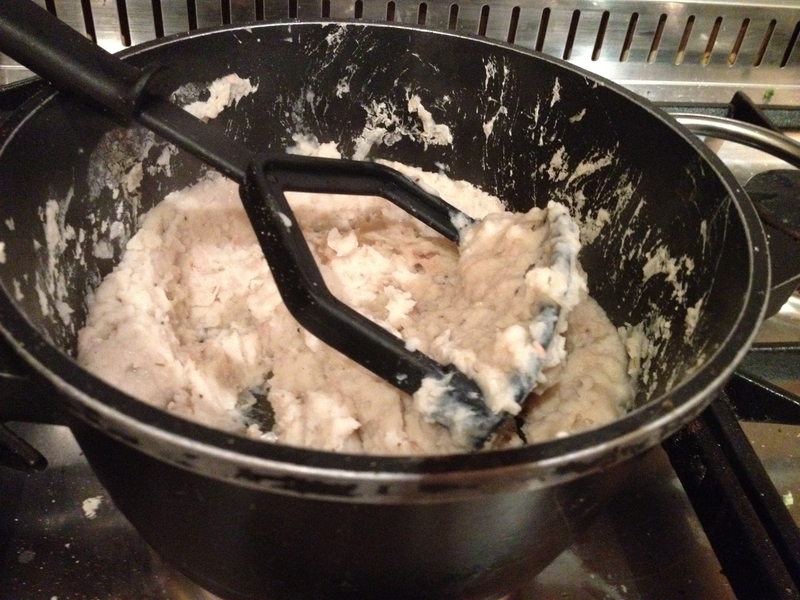 If you’re using mashed potatoes leave in the oven for 20-30 minutes. 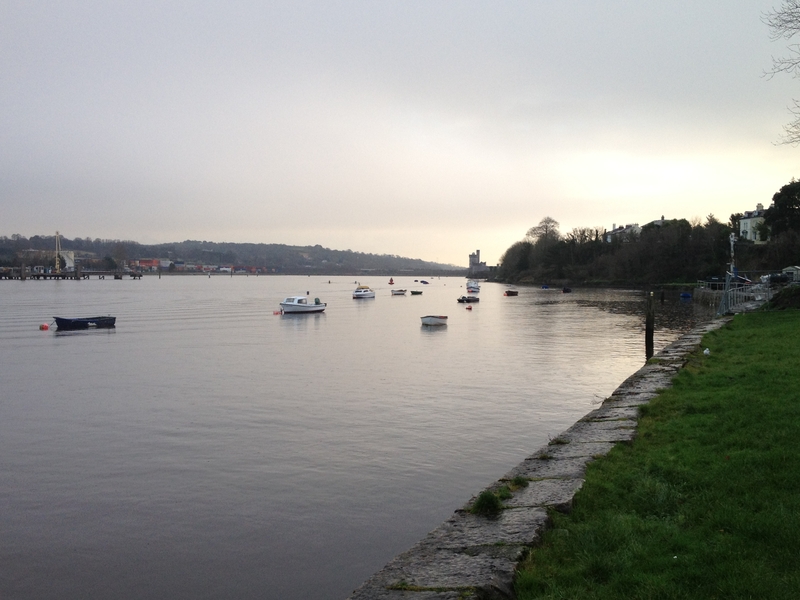 As part of my health kick I have started running again and going to the gym more, but exercise really does give me the munchies, especially when attempting runs like the Old Railway Line in Blackrock, Cork again. 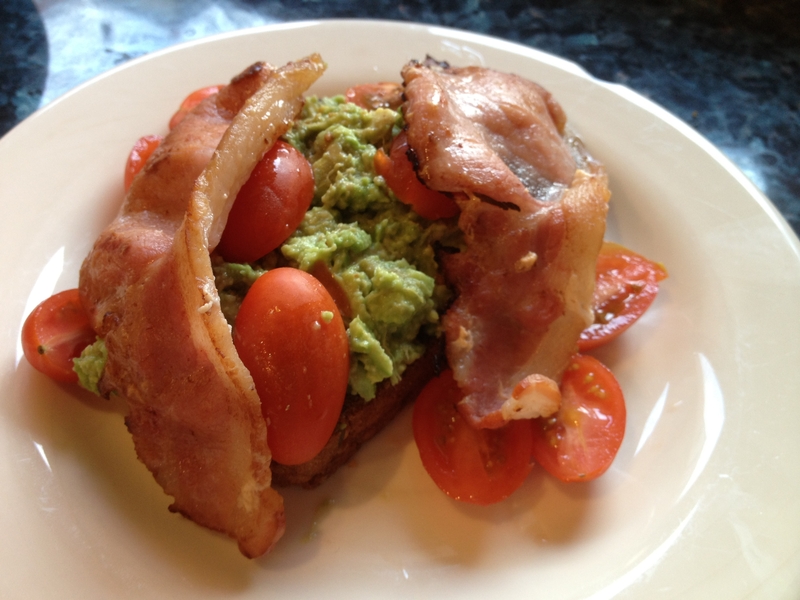 A couple of fellow food bloggers have started a twitter running group for motivation called #JanRUNary if anyone else would like to join, please do, the more the merrier! 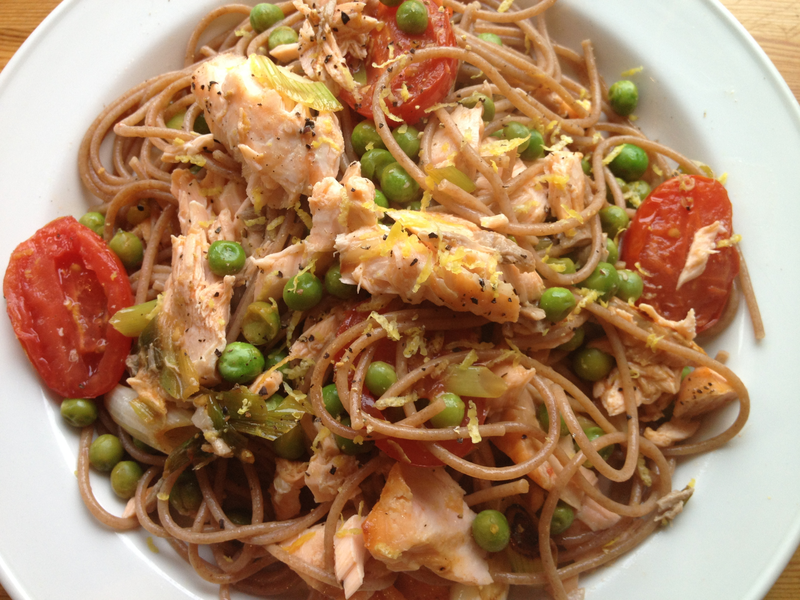 Last week I made salmon pasta to fill my carb craving, but I tried to make it as healthy and nutritious as possible. 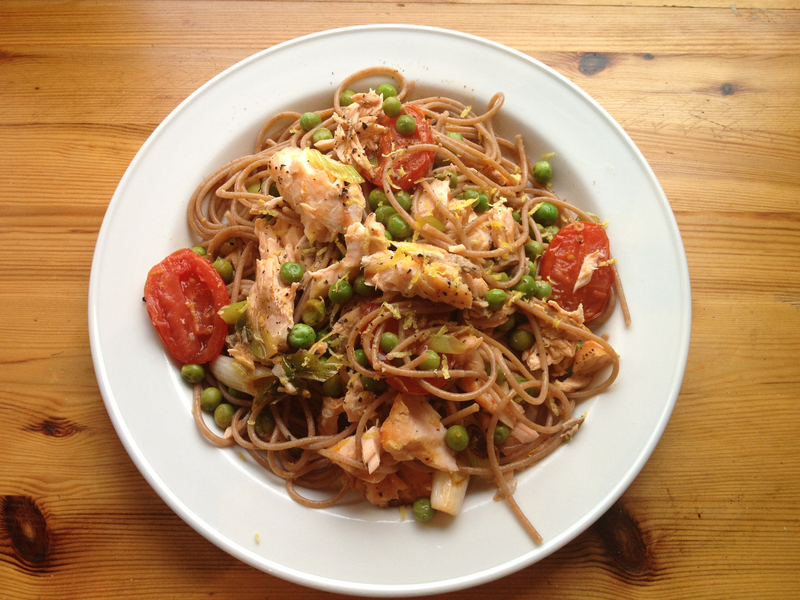 So if you are on an exercise kick this month, this is the dish for you! I bought Spelt pasta (I’m loving spelt this month) and it tastes really nice, it’s darker in colour that white pasta, but there isn’t much taste difference and it’s much better for you. 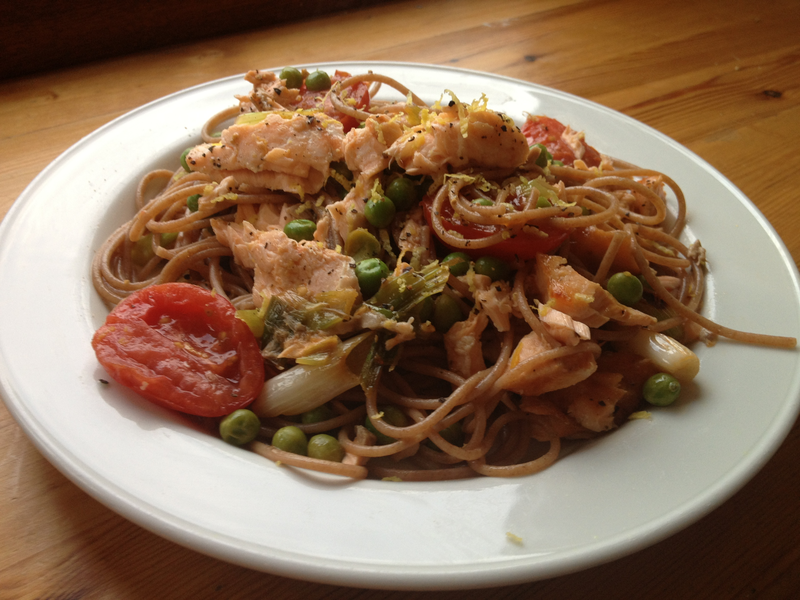 I also decided to make use of some salmon that was lingering in my freezer and other veggies in my fridge. 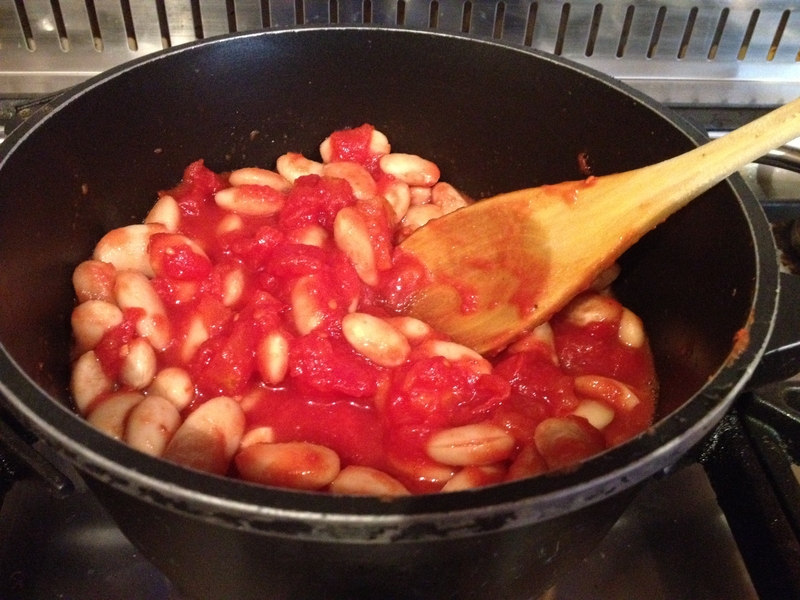 I added some toasted pine nuts too for some crunch, and lemon juice, zest and olive oil for the sauce. 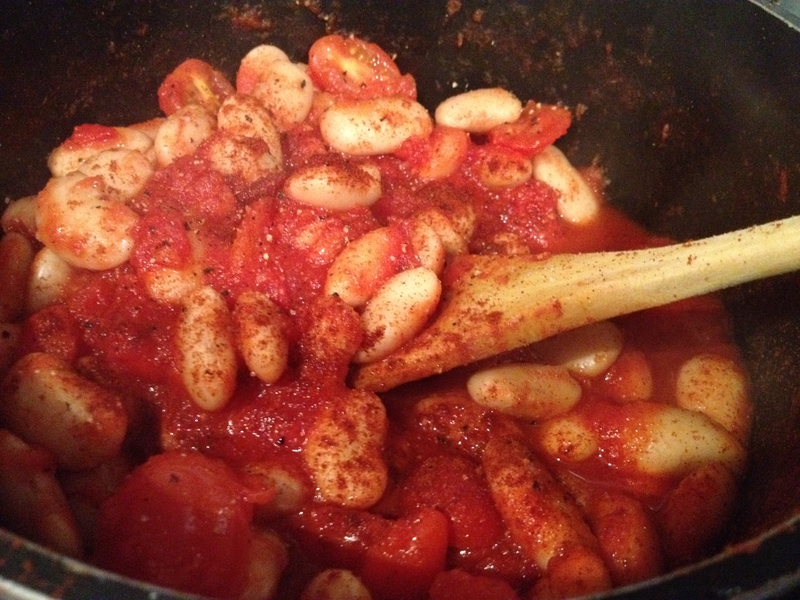 Its really quick and easy, fills my pasta cravings and it good for you too! 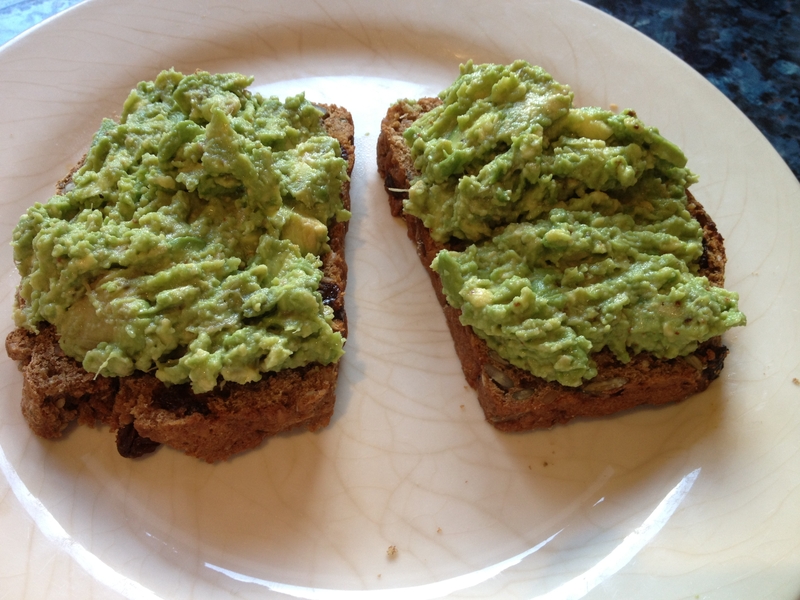 Give it a go (just double up on ingredients per extra person) and let me know what you think! 1. Season salmon with salt and pepper, and bake in a pre-heated oven at 200C for 15-20mins. 2. While the salmon is baking, chop up the garlic, spring onion and tomatoes and toast the pine nuts (make sure to keep stirring to prevent burning). 3. Add pasta to a pot of salted boiling water, add the peas in 5 minutes before its done. 4. Fry up the garlic, onion and tomato in a little olive oil. 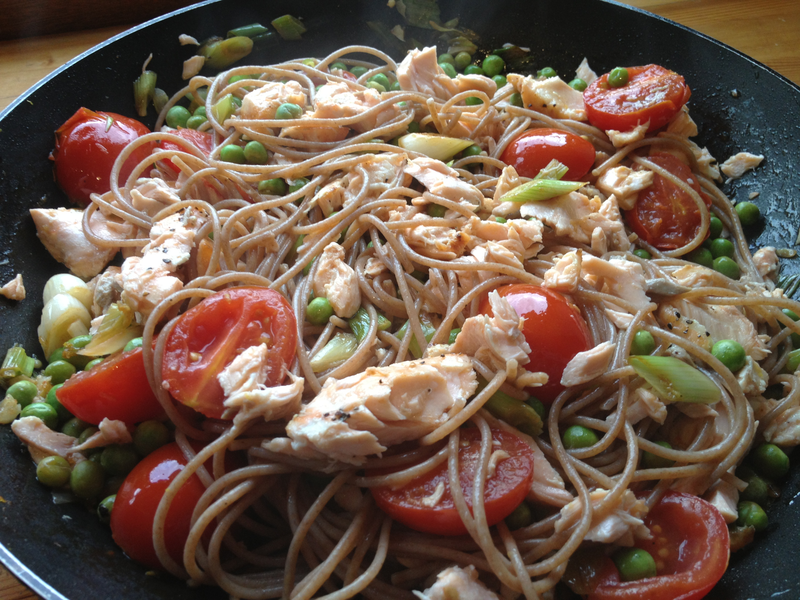 Drain cooked pasta and peas and add them to the pan. 5. 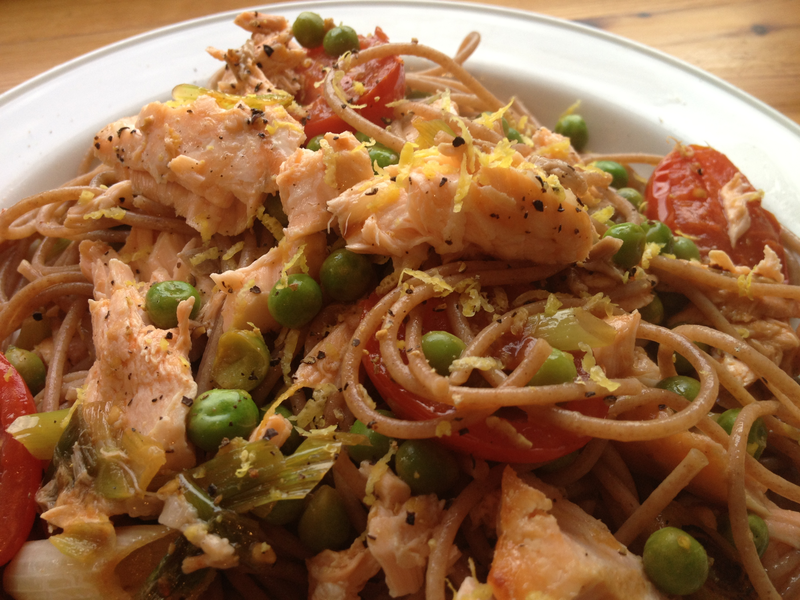 Take salmon out of oven and flake into the pasta. 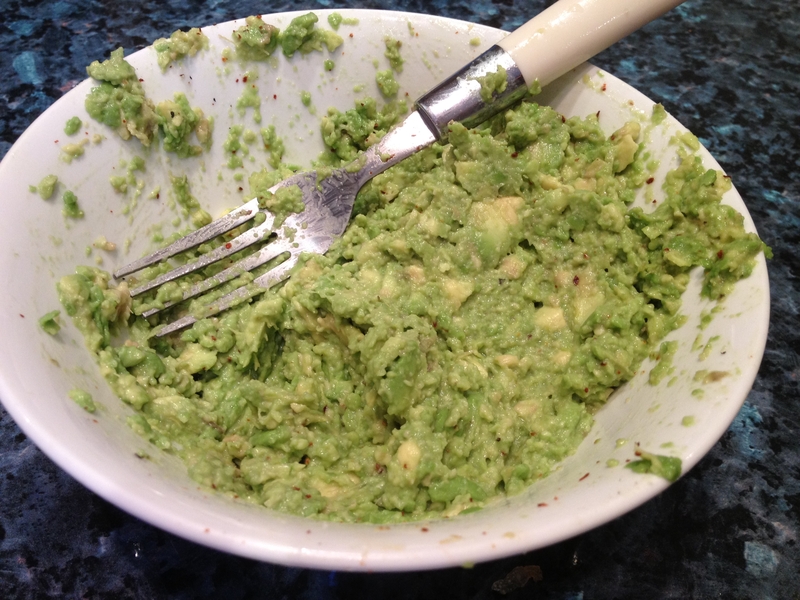 Squeeze in 1/2 lemon juice and stir in lemon zest and 1 tbsp olive oil. Season with salt and pepper. 6. Stir together and serve in warmed bowls. 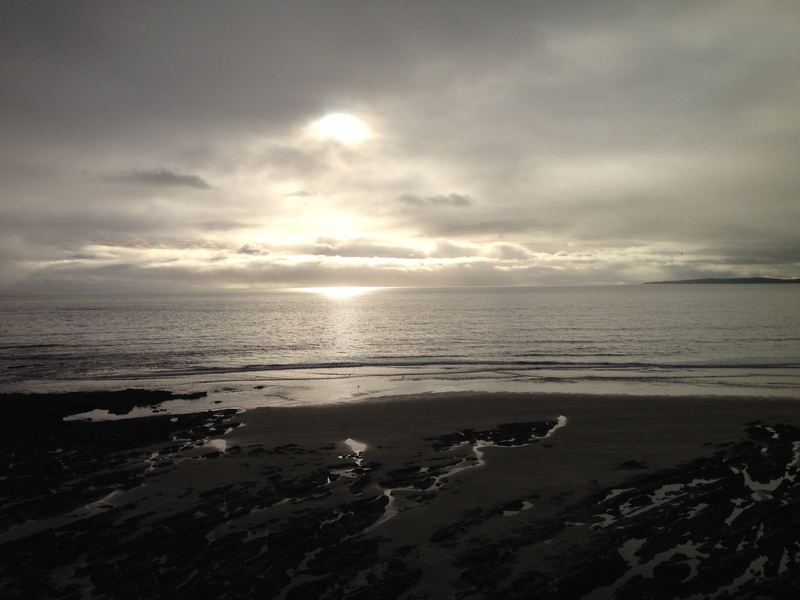 Yesterday I started my January kick-start! 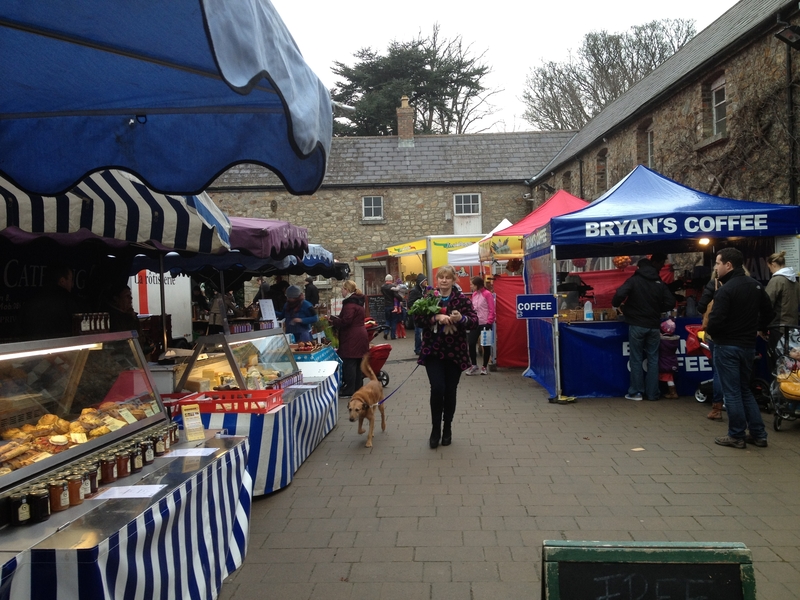 Bye-bye mince pies (sniff sniff), goodbye boxes of Leonidas chocolates, wheels of cheese and general piggery. 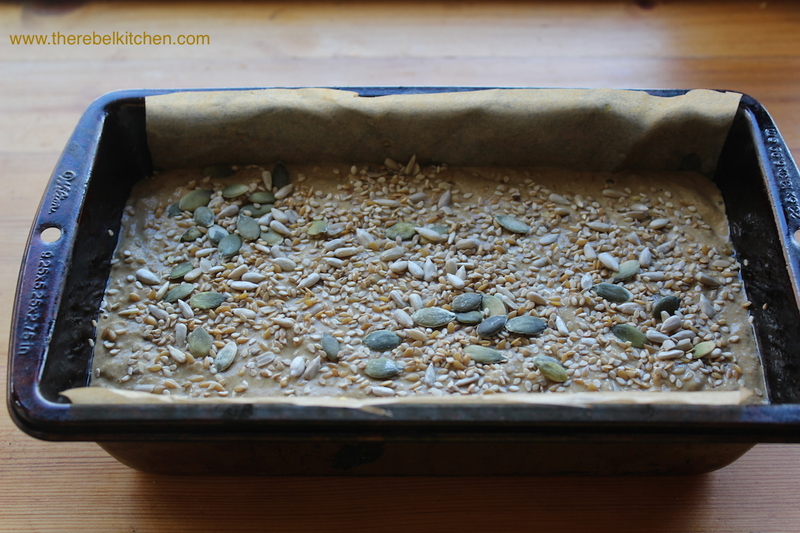 I did a big shop to restock my cupboard and decided to make a spelt bread to keep me going for the week. My cousin gave me a book called The Guilt Free Gourmet for Christmas and it’s written by Jordan and Jessica Bourke, a brother and sister duo from Dublin and all of the recipes are wheat, sugar and dairy free. 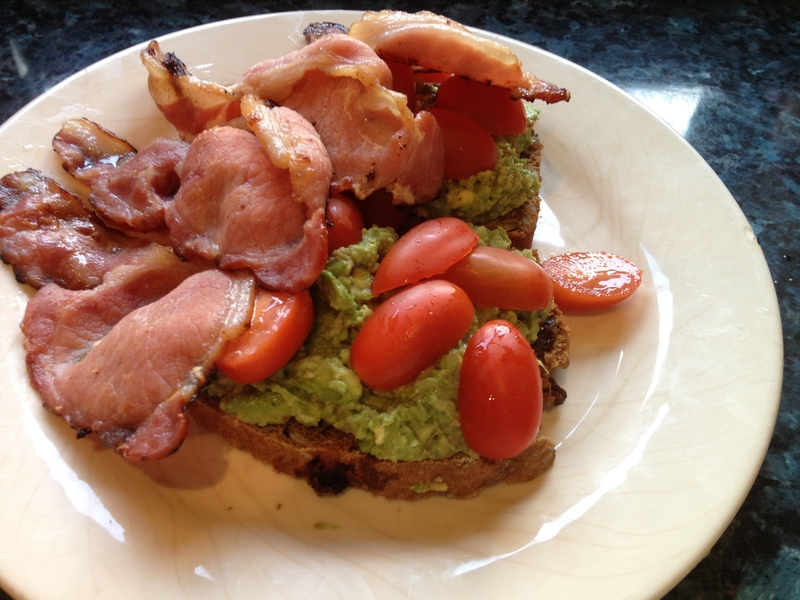 Most of these “healthy” books tend to have rubbish recipes, but this one is great. 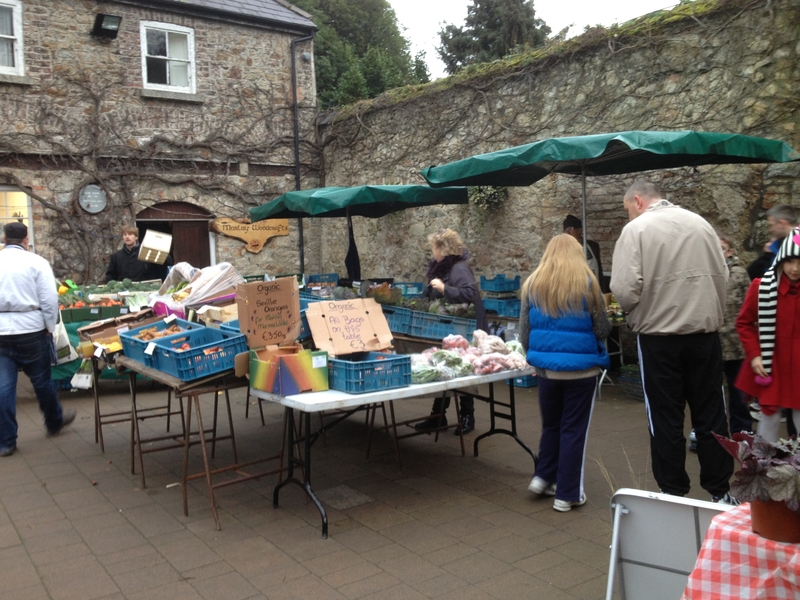 Jordon is trained in Ballymaloe and worked in a Michelen star restaurant and Jessica is a nutritionist who makes sure all the delicious recipes pass the healthy test. I recommend it for anyone looking for a healthy but really tasty recipe book. 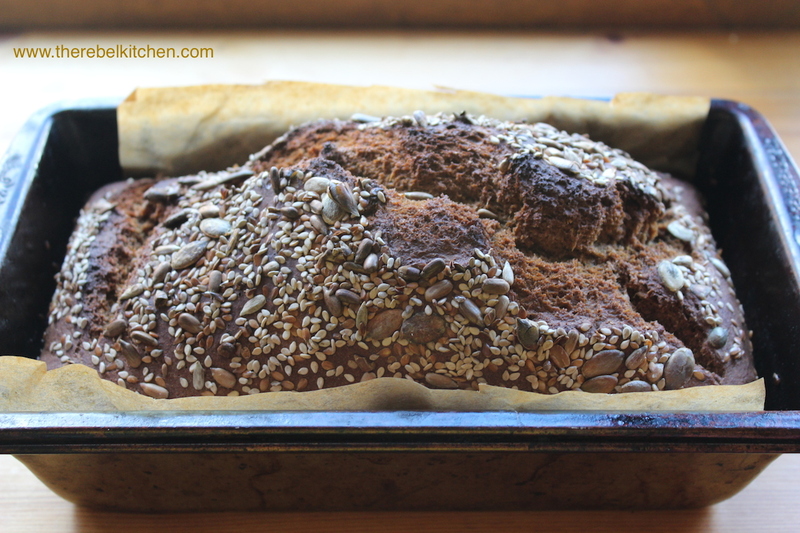 They had a recipe for Spelt bread which I tried, and honestly its the nicest Spelt bread I have ever eaten. 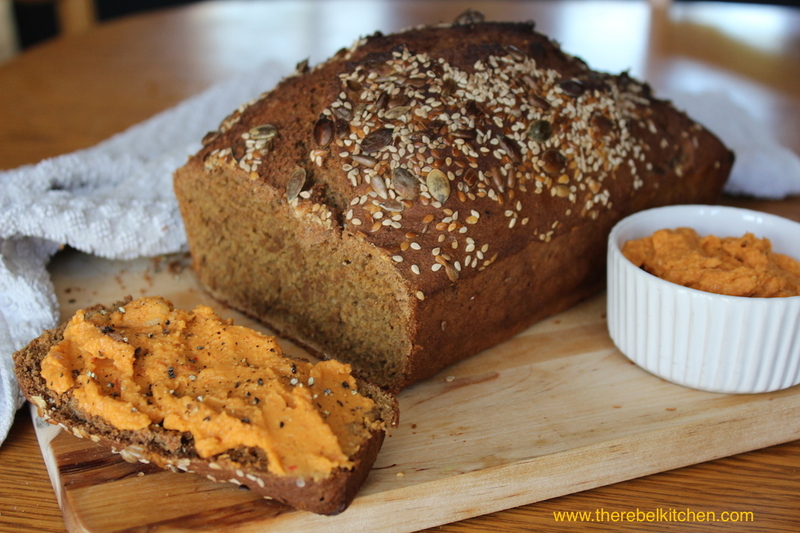 It’s ridiculously easy to make, and packed with seeds and other good stuff. The recipe says to put in raisins, which were great in it, but I generally leave them out if I’m planning on using the loaf for sandwiches etc. 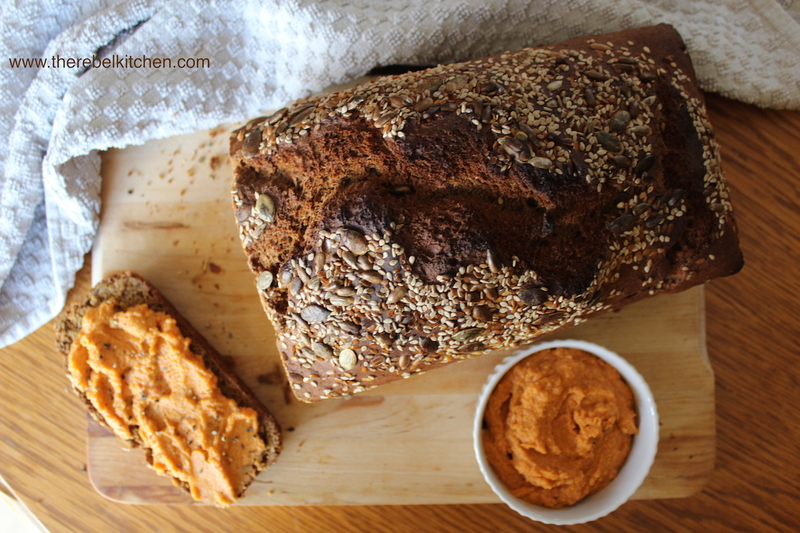 Spelt still has gluten in it, but it’s much better for you than other breads. 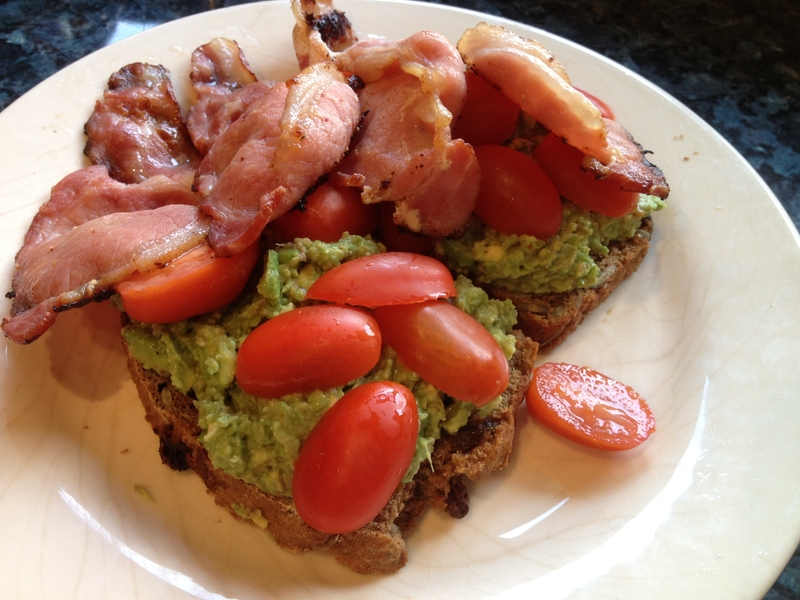 It’s easier to digest and higher in protein. 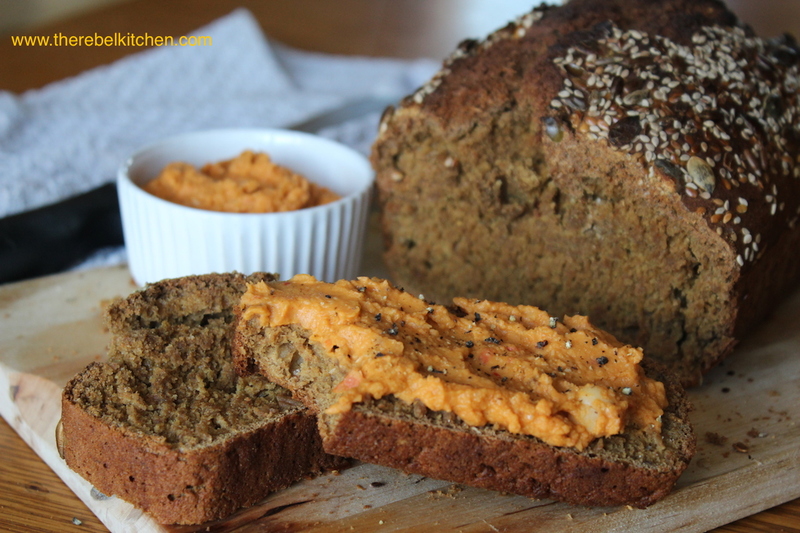 This bread is well worth trying, I munched mine hot from the oven with smokey red pepper hummus… delicious! 2. 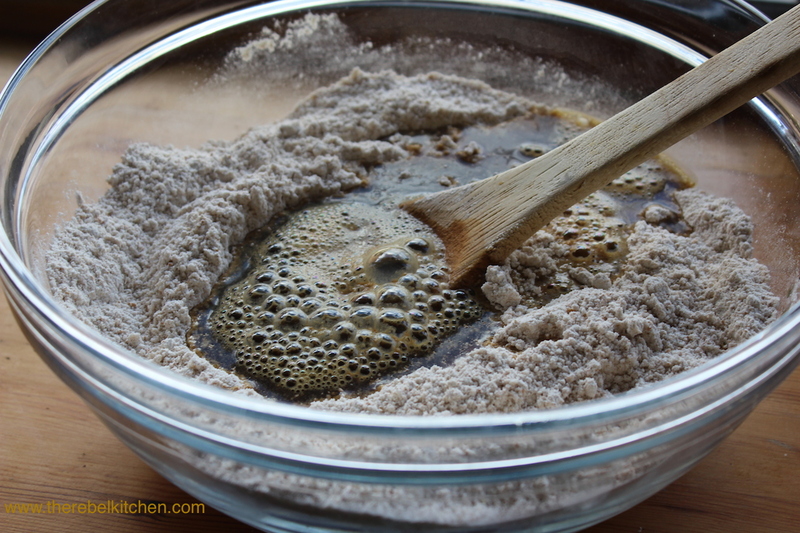 Stir the molasses in to the water, and then mix the wet ingredients into dry ingredients. 3. Immediately pour into a greased and lined bread tin (20cm/8 inch loaf tin), and pop into a preheated oven at 180C for 45 to 60 minutes. It’s done when brown on top and a skewer comes out clean.